Are you struggling to make more sales? Maybe you ask yourself why people don’t buy what you have to sell. You may even have the most amazing product and think that your products or services should sell themselves. So, why aren’t people buying from you? If you are following all the best practices but are still not seeing results, you are missing one important step in the sales process. That is, cultivating a relationship with your leads through a sales funnel. Put away the notion that your awesome product will sell itself. Even Apple, whose products are pretty awesome, has to market and cultivate a relationship with people. Why Cultivate Relationships with People? Most people who find you are not ready to make a purchase. That is a long-known fact. It usually takes an average of 7 touches for a person to buy from you. Even if those people are qualified and truly interested in your offer, the majority are not ready to make that purchase. You can easily increase the number of qualified leads and convert them into customers through nurturing. When you guide your leads through a process, you are really sorting to find those that are qualified. About 20% of those that are qualified will usually make a purchase with many of them becoming repeat customers. Showing people that you care about their problems and solving them is your key to success. If there are two people selling the same product, what would cause an individual to purchase from one over the other? How much you care will make the difference in how people choose who to buy from. This is also true in retail stores. There are many instances where I pay a little more for an item because I get better care and customer service. If customer service is terrible and workers could care less about me, I refuse to shop at that retail store. It is the same with your home business. People will know how much you care so show them. 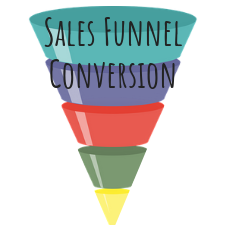 How does a Sales Funnel help you Get and Convert Leads? A sales funnel is a process that guides your prospects through a journey where they get to know you and what you have to offer. It all starts with attracting visitors to your website. If people are not exposed to your site, they won’t know you exist and therefore won’t become customers. By establishing your business online, you can get your name out there and start using attraction marketing methods to get more people to find you online. Once potential leads find you, a sales funnels helps to convert them to customers. You create an offer to inspire a person to share their contact information for you. For example, you may have a free ebook with information that solves a problem. When a visitor gives their email address, they can download the ebook. Once that happens, they become part of your email subscriber list. Now that your prospect has the ebook in hand, they are learning more about how you can help them and it’s a way to gain their trust. After a few days, you send an email via a drip-campaign to find out if your ebook has been a benefit and let them know you are available for questions. As you progress with sending additional emails, you can make exclusive offers available only to those on your subscriber list. 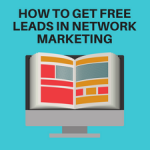 That is a simple overview of how you use a sales funnels to convert visitors to leads, and then convert leads to customers. A sales funnel is a powerful method to convert visitors to customers online. Using an all-in-one funnel system makes it simple for anyone to create a sales funnel that gets results. 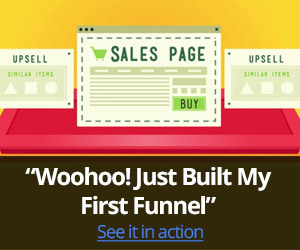 Ready to build your first sales funnel for free and convert more leads? Click here to get started with your FREE 14-day trial NOW!